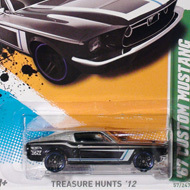 8/15 from the 2012 Treasure Hunts series. 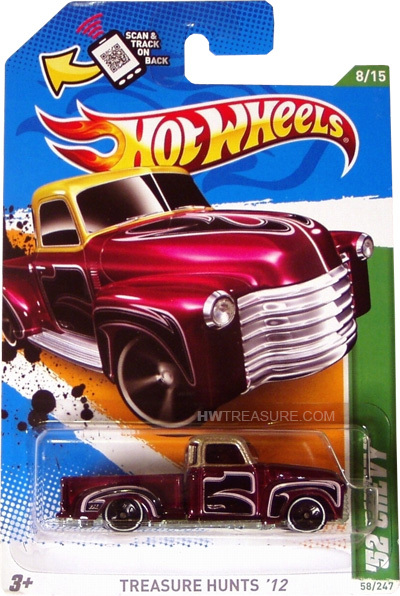 The pickup has magenta metalflake paint detailed with gold metalflake roof, black & white graphics, and the Hot Wheels logo and “TH” on the sides. 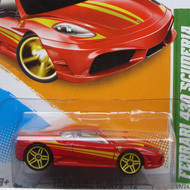 It has dark tinted windows, black 5-spoke wheels with white line tires, and an unpainted metal Malaysia base.